At least eight more Zanu-PF Members of Parliament are set to be ejected from Parliament after the ruling party's Extraordinary Congress held last Friday adopted a Central Committee report recommending their expulsion, together with 12 other party members. The 20 Zanu-PF members were part of the G40 cabal that was causing chaos and instability in Zanu-PF before the Zimbabwe Defence Forces moved in to pacify the situation under Operation Restore Legacy. The adoption of the Central Committee report recommending their expulsion signalled the end of their stint as legislators, as it meant they were no longer representing the interests of the revolutionary party under whose ticket they were elected into Parliament. "The following members of the G40 cabal who had, through their nefarious activities destroyed the legacy of His Excellency the President Robert Gabriel Mugabe be and are hereby expelled from the Party," read the minutes of the Central Committee report. The eight are Messrs Paul Chimedza (Gutu South), Shadreck Mashayamombe (Harare South), Samuel Undenge (Chimanimani East), Makhosini Hlongwane (Mberengwa East), Sarah Mahoka (Hurungwe East), Walter Mzembi (Masvingo South) Anastacia Ndlovu (Proportionate Representative) and Eunice Sandi Moyo (Senator). Their pending expulsion from Parliament is in terms of Section 129 (1) of the Constitution. Section 129 (1) provides as follows: "The seat of a Member of Parliament becomes vacant if the member has ceased to belong to the political party of which he or she was a member when elected to Parliament and the political party concerned, by written notice to the Speaker or the President of the Senate, as the case may be, has declared that the member has ceased to belong to it." 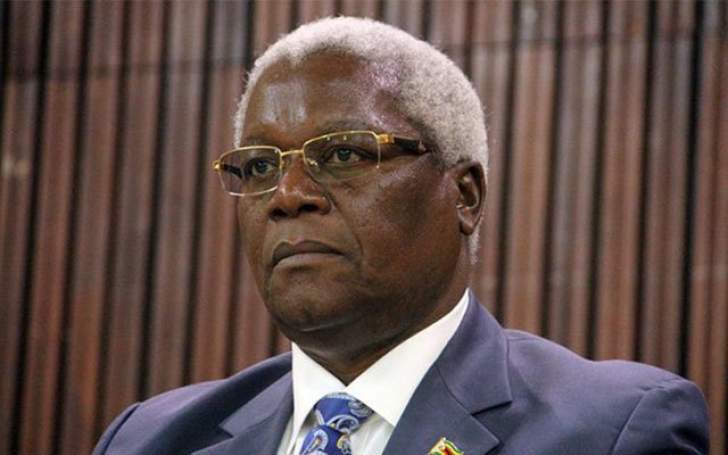 Five other MPs from Zanu-PF were expelled from Parliament last month after Zanu-PF wrote to the Speaker of the National Assembly that they were no longer representing the party's interests in Parliament. They are Messrs Saviour Kasukuwere (Mount Darwin South), Kudzanai Chipanga (Makoni West), Ignatius Chombo (Zvimba North), Jonathan Moyo (Tsholotsho North) and Mandiitawepi Chimene (Mutasa South). Zanu-PF's Extraordinary Congress also adopted the expulsion of other party members who were part of the G40 cabal. They are Mrs Grace Mugabe, who was the ruling party's secretary for Women's League, Mr Phelekezela Mphoko (Zanu-PF Second Secretary) Mrs Letina Undenge (secretary for administration for Women's League), Mr Innocent Hamandishe (Zanu-PF Youth League national commissar), Mr Mpehlabayo Malinga (Zanu-PF Youth League deputy national secretary) and Mr Xavier Kazizi (Zanu-PF Youth League acting secretary for administration. "That Phelekezela Mphoko be and is hereby recalled from the position of Vice President and Second Secretary of Zanu-PF for being divisive, a member of the G40 cabal, tribalism, protecting criminals, preaching hate speech and behaving in a manner inconsistent with the office and decorum of the office as VP," reads the Central Committee report. "That Grace Mugabe be and is hereby recalled from the position of Secretary for the Women's League of Zanu-PF for promoting hate speech, divisiveness and assuming roles and powers not delegated to her office."